May your personal Bilby be as snug as a bug in a rug. 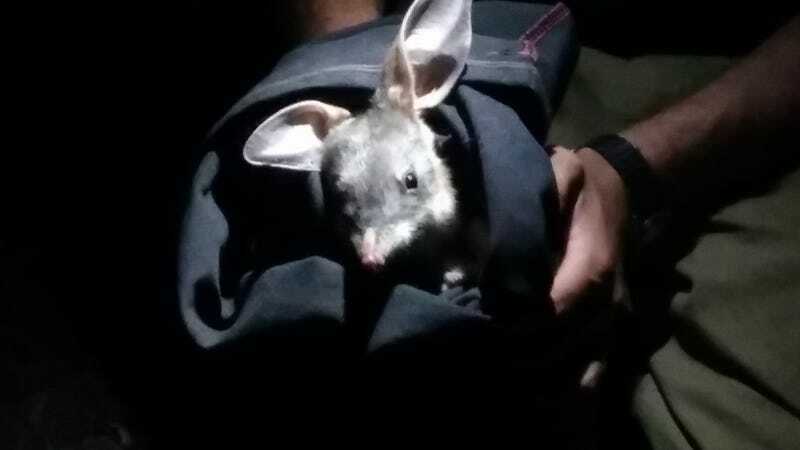 We’ve been out at a release tonight of thirty of these rabbit sized bandicoots within a protected area in the Pilliga. They’ve been extinct in this area for over a century due to agriculture, foxes, cats and rabbits.